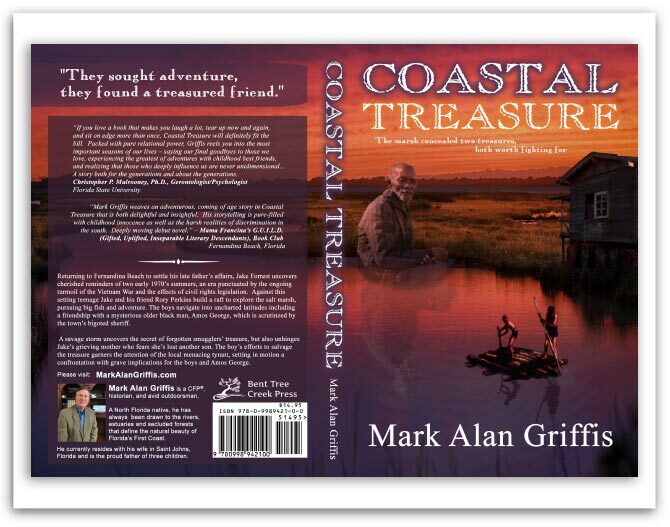 Book cover designed for Bent Tree Creek Press in St Johns, FL. Mark’s goal was to get a professional looking book cover that didn’t look like a self published cover. Mark asked us to design a sign for book signing events. Mark also needed a logo for his publishing company.